I have a daughter who speaks fluent Engineer. Sadly, she’s not here as I’m moving to a new house and staring at the little androgynous furniture assembling figures miming how to assemble the flat packs. Or how to to build the next renewable space rocket. I really couldn’t tell you which. What time is it in New York, and how much would engineer-daughter mind being woken up in the middle of the night to translate furniture-mimes? Are window curtains and blinds actually just an artificial construction of the bourgeoisie? And if so, what would be so bad about going old-school (sheets tacked to bathroom/bedroom windows) or no-school (new neighbors get to know us VERY quickly…)? Which box has the corkscrew? We needed a guest bed. We had a mattress we bought a few months earlier because the one in the temporary rental flat was… well, a lot of things, none of which included something you might willingly touch without rubber gloves and maybe a hazmat suit. 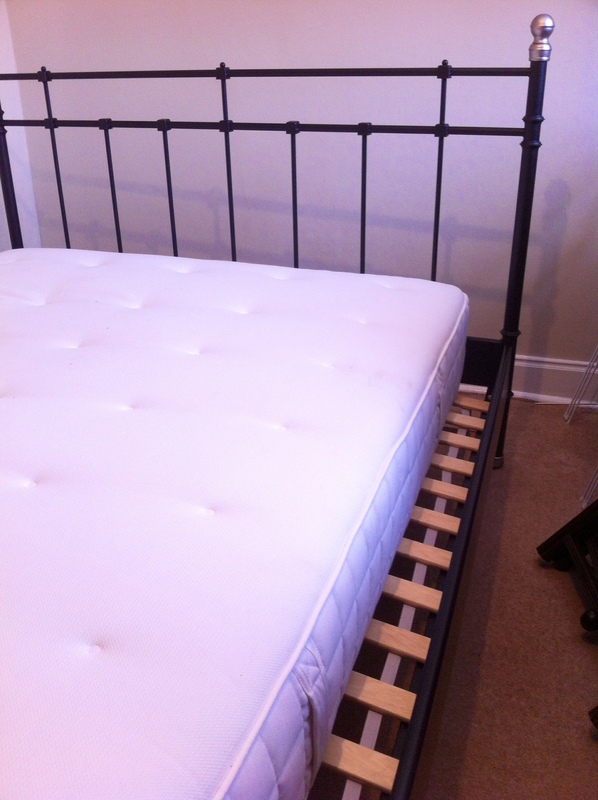 So as part of moving, we need a bed to hold up the mattress. And, with guests arriving, we need it soon. No problem. I would just go back to that big blue and yellow store where we got the mattress and buy a bedframe. And then I’d put it together. 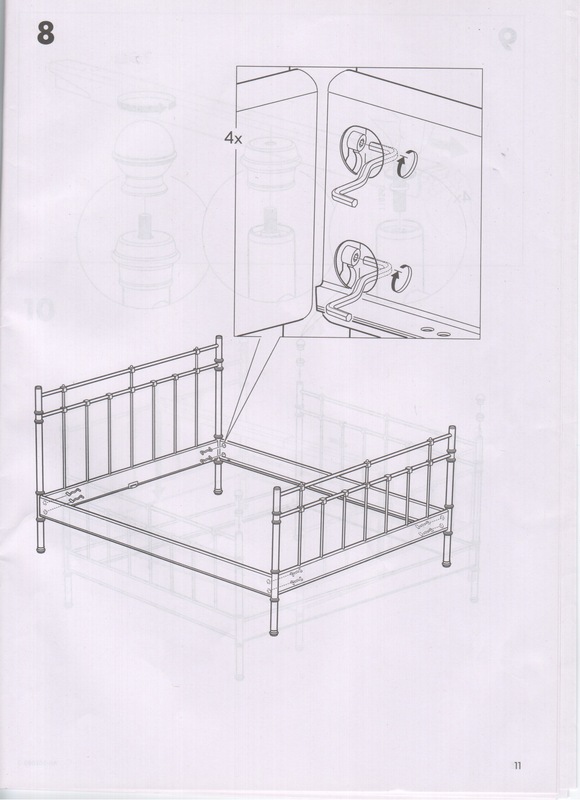 Headboard, footboard, two side rails and some slats. How hard could that be? 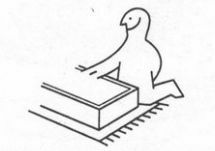 Have you ever followed those flat-pack directions? You know, the ones with the little cartoon guys that were written for illiterate mutants by people whose native language is not found on this planet? Here’s pretty much how that went, with my best translation of the directions below. It is important to establish your dominance immediately. Pat the box firmly and show it who’s boss. Open the box and count the six bazillion little bits, all of which look pretty much alike. Pour six glasses of wine. Drink first glass of wine. Hell, go for the second glass. Try to decipher the first diagram. If you don’t get it at first, try more wine. Crying is okay. But do not pee in box. Call store helpline. Wait for thirty minutes while listening to recorded soundtrack of Mama Mia. (Wine. Duh…) After the eighteenth suggestion that you should check online, and the Abba songs begin to repeat, go to online website to ‘Ask Anna’, their interactive helpbot. You said: What is the meaning of life. Anna said: Better minds than I have failed to come up with an answer to that one. Apparantly the answer is “42”, but I believe it’s Good quality affordable furnishing! Much wineage. Frighteningly, the little diagrams are starting to make sense. All of a sudden, you have a bed! You just have to use the little funky z-toolmajig to tighten the screw-thingys. From inside a little hole. Where it can only turn an eighth of an inch before you have to take it out and reinsert it and turn it another eighth of a friggin inch. About fifty times. And that’s just the front hole at the top of one leg. [Any comparison to old boyfriends is probably the wine talking. Stick to that story.] Drink directly from the bottle now. The final step! You place the mattress onto the bed. And note that it is about five inches too narrow for the frame you’ve spent all day assembling. “Mama mia! Here we go again…” You hum along. Almost an hour later, the customer service person admits that the mattress they sold you only three months ago doesn’t actually fit any of the gazillion bed variations they currently sell. 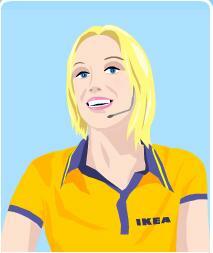 She asks if you might care to wait until they start selling beds that will fit the mattress. She waits politely until your hysterical laughter stops. Then she asks what you would like to do next. They must do an excellent job of training their CS reps, because she ignores the anatomical improbability of your heartfelt suggestions about just what they could do next, and agrees to come and take away the bed on Friday. All you have to do is take it apart first. Just make sure you have the proper tool for the job. Oh dear, hope it really is going better than this. Actually, compared to that bucket in place of a functioning loo, I’d say it’s going great! No more wine. 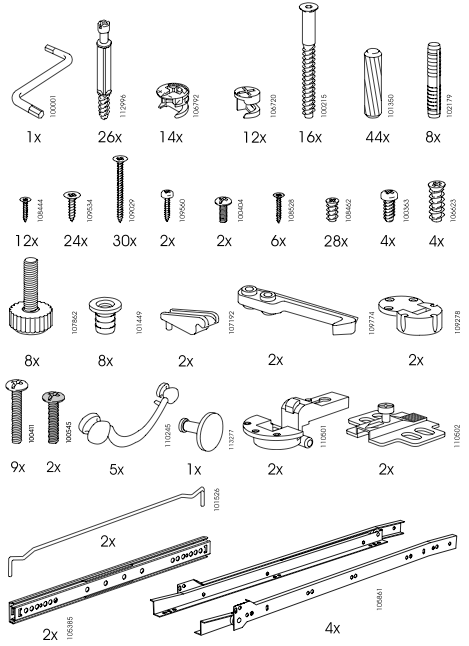 Vision was already impaired when you looked at the attachment assembly pieces. Call your daughter, she will help. I tried that. She took unreasonable exception to the 0:dark-thirty timing and told me her hourly consulting rates. You don’t know anymore people with gifted hands. Handy man/woman? Funny you should mention that. My new BFF is Adrienne, owner of the local antiques/resale shop on Arran. 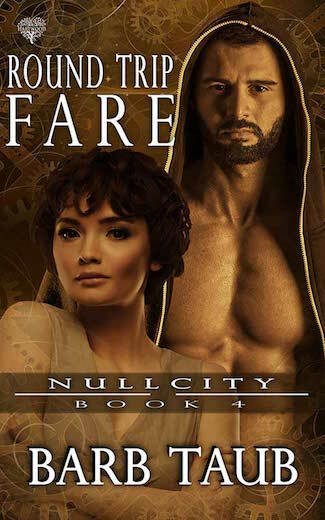 She has the MOST useful family, who she doesn’t hesitate to press into service. All furniture was whisked into the new house, swiftly assembled, and put in place. This is why I must live on Arran forever. Sadly, I haven’t had the nerve to ask them to assemble the new flat packs. But you’re right. 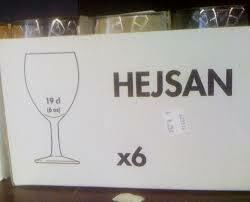 They would probably have it done before I’ve finished unpacking my first Hejsan glass. Yup, South African bed sizes are completely different from American, so I’m still schlepping King duvet covers over. What I really don’t understand is why the local duvet covers never seem to perfectly fit the local duvets? That was a huge part of our UK education too. Turns out that American queen = UK King, and American king = UK super king. All complicated by my India purchases of “double” which I think is US King (ie two times a single/twin). And no matter what, nothing ever seems to fit a duvet. You have my sympathy! I am so glad I am not a human!!! Yes—although I must admit that the little mime-directions never mention opposable thumbs in their list of necessary tools. 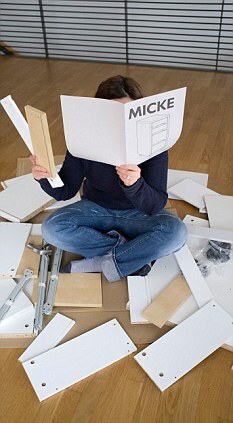 I heard somewhere the flat pack wardrobes can be put together at least 20 different ways – but only one is correct. I agree completely with your first premise, the most important tool is that wine bottle opener. Never leave home without it. gave up years ago…on flat packs, not wine. You are a highly intelligent woman. Oh heck ~ this is sooo my other half! When daughter was younger, and he had some DIY job to do (generally assembling something flatpackish for her bedroom from That PLace Whose Name We Do Not Utter) I had to take her out. Coz I didn’t want her to hear a good man cuss! Now, old age has not mellowed him one bit. He still hates DIY in all forms. Give him a toolbelt and he’ll stare at it for hours, hoping it will go away. By default I am the DIY maven ~ and that’s not saying much, believe me! Hope Engineer- daughter realises how lucky she is to have you ~ who else would give her those wonderful opportunities to roll her eyes, sigh gently, and go, ‘no, mum, that’s a right-screwed banana wrench, not a hammer.’ We all have our roles in life. As a matter of fact, she just sent me a message congratulating me on having such a brilliant child! 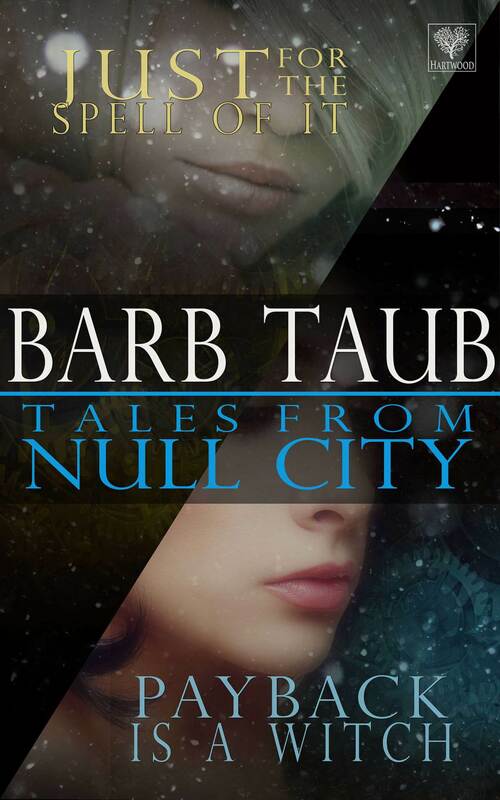 One of your best, Barb! I remember my sister starting to put together some form of wall cupboard with a rack for shoes at the bottom, a few years back. She rang me a few hours later and said, “I’ve done it, but it doesn’t look like on the picture. I think I’ve made a coffee table”. And how many pairs of shoes could that coffee table store? You know, I think that idea could really catch on. I am so pleased to meet a kindred spirit. My husband tells me things like just give it a try, its not that difficult. Not! I did not expect such a sad ending to such a joyful post. Brilliant. 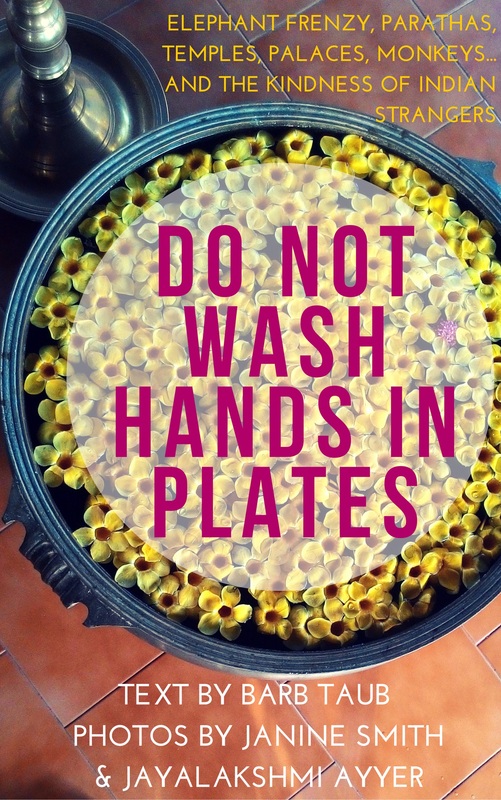 I read and reviewed Do Not Wash Hands in Plates over the weekend. I loved it. You are a hoot! I especially loved your comment on the little-people graphics. You and I (with or without wine, but I have a distinct preference) could probably go on for hours about graphics of all sorts. There was one I never DID figure out on the NY Subway. Do not stand on one foot? Don’t put the sole of your shoe on the door? Don’t do either in a hat? I have no idea, but I certainly hope I didn’t do it because I usually wear hats and the bisected circle was RED – so it might have started wars or something. If the rest of your blog is as funny as this post, I may never leave. Thank you for the very relatable story and laughs! I hope you finely got everything sorted out and put together.